I do not like summer. Really, what’s all the fuss? It’s just hot, and I don’t like being hot. Of course, if I lived somewhere other than the South, I might feel differently. Here, our summer seems to last half of the year. I don’t mean to be start out being so negative, but all of my summer-related whining does have a point. There are a couple of things that I like about summer. Well, now that I think about it, there may just be one: fresh berries. Tarts like this just aren’t the same in any other season. All those berries piled on top of a lovely, cool pastry cream. And all that on top of sweet cookie crust. This is a bit unlike my usual recipe offerings. It is a bit more involved, although I wouldn’t classify it as difficult. Quinn and I teamed up on this one, and that made the process much easier. 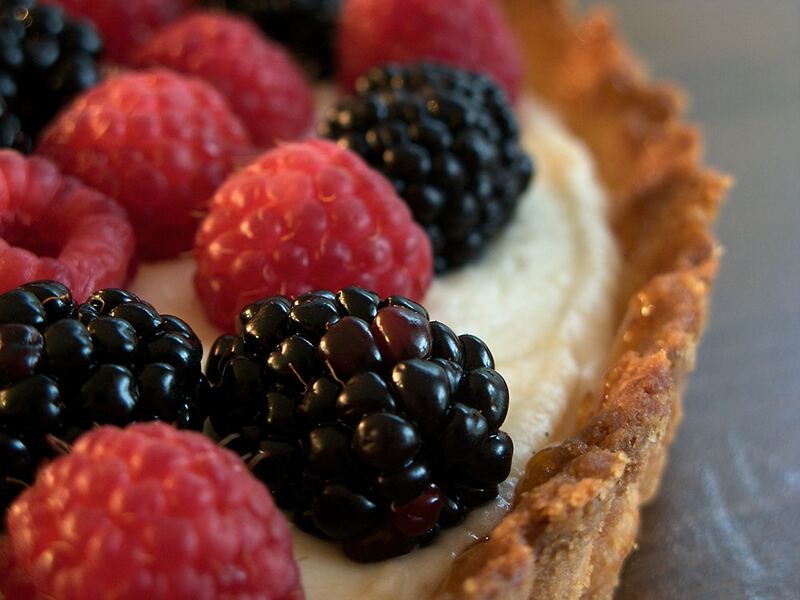 Any berries can be used on the tart. We chose raspberries and blackberries because they were the freshest, prettiest ones we could find. This is the cover recipe for The Pie and Pastry Bible. 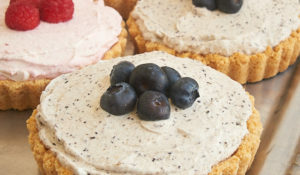 That tart is covered with a much bigger variety of berries. I like the adaptability of recipes like this. You can change the berries as the season progresses or as your tastes demand. 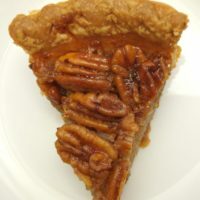 By the way, normally I would proudly display a photo of a slice of this tart. But, as it was consumed fairly quickly, all we have are photos of an intact tart taken right before it was served. Hopefully, you will enjoy them anyway. Turn fresh berries and a lovely pastry cream into a sweet, beautiful dessert with this Fresh Berry Tart. 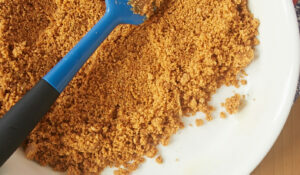 Place the butter and sugar in a food processor. Pulse about 15 times until sugar disappears. Add the flour and salt and pulse again about 15 times until the butter is no larger than small peas. Stir together the egg yolk and cream. Add to the food processor and pulse about 8 times, just until incorporated. The dough should be in crumbly pieces. Transfer the dough to a platic bag and press from the outside just until it holds together. Transfer the dough to a large piece of plastic wrap. Using the plastic wrap, knead the dough a few times until it becomes one smooth piece. Flatten into a 6-inch disc. Wrap well and refrigerate for 30 minutes or freeze for 10 minutes until firm enough to put into the tart pan. Roll the dough between lightly floured sheets of plastic wrap into an 1/8-inch-thick circle. Work quickly so that dough does not soften. 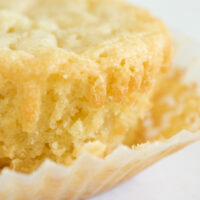 If it becomes too soft, place it (in the plastic wrap) on a baking sheet and refrigerate or freeze until firm. Remove the top sheet of plastic wrap. For a 9 & 1/2- by 1-inch tart pan, cut the dough to an 11-inch circle. Lift the dough using the plastic wrap. Invert the dough and drape it evenly into the tart pan. Remove the plastic wrap and press dough into the sides of the pan. The dough should come about 1/8 inch above the rim of the pan because it will fall during baking. Whisk together the eggs and cornstarch. Gradually add 1/4 cup half-and-half. Whisk until smooth and the cornstarch is dissolved. Place the sugar in a medium heavy nonreactive saucepan. Stir in the remaining 1 & 3/4 cups of half-and-half and salt. Bring the mixture to a boil over medium heat, stirring occasionally. Whisk 2 tablespoons of hot mixture into egg mixture. Pass the egg mixture through a strainer into a small bowl. Bring the half-and-half mixture to a boil again. Quickly add the egg mixture and whisk rapidly for 20-30 seconds. The mixture should become very thick. Remove from heat and whisk in the butter and vanilla extract. Immediately pour into a bowl and place a piece of greased plastic wrap down into the bowl directly over cream to prevent a skin from forming. Cool to room temperature (about an hour). Then refrigerate until cold. May be refrigerated up to 3 days or frozen up to 1 month. If using preserves with whole fruit or seeds, microwave until liquid and bubbling, stirring once or twice. Strain. This should yield about 3 tablespoons. 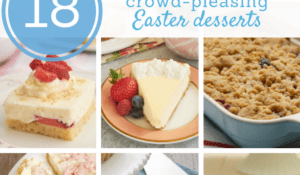 Brush onto the bottom and sides of cooled crust. Spread the pastry cream evenly into the crust. Place fresh berries on top. Refrigerate 1-3 hours before serving. Recipe slightly adapted from The Pie and Pastry Bible. That looks delicious. 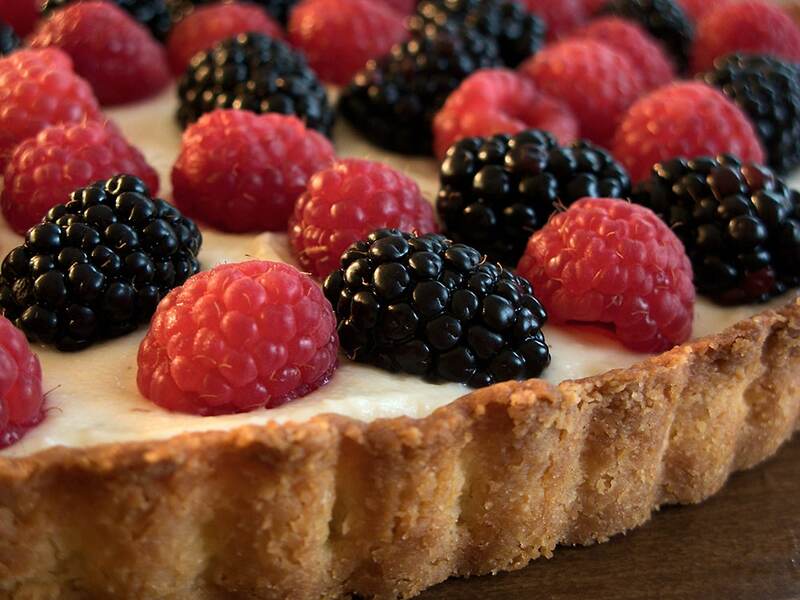 I love raspberries and blackberries on a fruit tart. By the way, I live in Chicago, where winter goes on forever. Cold, nasty winters. I’m jealous of people who live in warm weather climates! I hate Summer. I write about how much I hate Summer all the time. 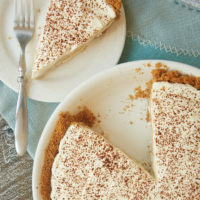 That tart on the other hand I love. Oh yum! I love summer berries too! And am not a fan of the heat. My mother on the other hand LOVES hot, humid weather. If summer never happened, I’d be happy. I’ve lived in the northeast and the midwest, and summer is no better there than anywhere else, trust me! Like you though, I think that berries are the best part of summer! I don’t like summer, either – too hot. I prefer milder days, like the ones we have in the fall and spring. I’m not a fan of July and August – but I do enjoy the milder summer times. 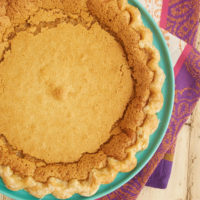 Your tart is gorgeous and the pictures are fantastic! I’m all about spring. Cold nights where a comforter is needed, but warm afternoons when lying in the sun is necessary. By the way, how is that Pie & Pastry Bible book? I’ve been debating on my next baking book. Between The Cake Bible & The Pie & Pastry Bible, I’ve got a lot of options here. Oh, I’ve always wanted to make the cover recipe from this cookbook! Your photos are lovely and I agree. A cool, fruit tart is a perfect dessert to enjoy on the dog days of summer. 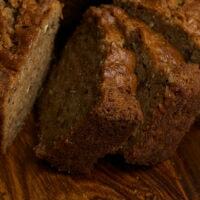 Great photos, great ingredients – (great because I have them in my fridge) – just printed the recipe – oh yeah!!! Wow. How crazy. I just made a very similar fruit tart! Yours looks delicious. It’s such a great idea for the summer. OOOH! I completely agree with you about Summers in the South! I currently live in Texas; it’s been 100 degrees for more than half the week already, and I’m dying!!! The only thing I like about summer are the tasty berries, too, and you’ve captured these beautifully :). Lucky for me, this is my last summer here in TX for awhile, since the hubby and I will be moving to the Boston area this coming July…I will miss the summer berries though; they don’t go in season over there until Fall :(. So good! Sorry you had no chance for photos of this one since we gobbled it up! This may be one of my favorite things you have ever made. It is so light and cool–perfect for summer. This one’s a keeper! Mandy, I feel for you and your first summer in the South. Just wait until July and August. Tanya, most days I’d take cold weather over the endless hot days. I’m sure too much of either one is tough. Thanks, Peabody. Glad I’m not alone. Rachel, I don’t get how people like being hot. To each his own, huh? Bridget, I could definitely pass right over summer and go straight from spring to fall. Thanks, Patricia! I’m beginning to think no one likes hot weather! Thanks, Elizabeth! I’m fine until it gets 80+. Then, I just know it’s going to get worse. Amanda, I’ve marked several recipes to try from this book. This was my first one to make. It looks like a fantastic book, though. giz, I hope you like it! Sophie, we haven’t quite made it to 100, but these 90s are bad enough. I’m sure your Boston summers will be much more pleasant, even without the berries. Thanks, Nan! Glad you liked it. I just made fruit tarts in baking class last week and now I see them pop up everywhere, it looks great! I’m from Australia and have never heard of half & half could you explain what it is so maybe I could use something similar to it. i literally want to pick those berries right out of my computer screen. brilynn, I guess it’s just the season for berries! Maria, half-and-half is equal parts whole milk and cream. Hope that helps! Thanks, kelley! I’ll take that as a compliment. This looks really yummy–especially for fruit lovers! I’m new to food blogging, and I am glad I found yours! I’ll definitely be coming back! I did not miss the summer until I moved to NY. I hated it because it was no different than any other season in South Texas. However, now that I live in NY I try to enjoy being outside as much as I can. However, don’t get me wrong I do enjoy the a/c on high when I get a chance. Do you think this recipe can be used with frozen berries? Your Berry Tart looks amazing! My dad is coming home from a trip to India on Friday, and now I want to make him something with fresh berries to welcome him home. Thanks for the inspiration! I’m also a Chicago girl and wish I lived south, althouh you are right, I’d get sick of the warmth before I know it, I’ll have to aim in between if I ever move. 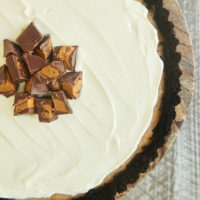 The tart looks so delicious! Slice picture not needed at all… the other pictures are amazing!! Other than Florida in May, I’ve never been to the south. So I don’t think I’ve experienced the miserable heat you describe. We have pretty nice, mild weather here in San Diego with pretty much zero humidity. You should escape here for a vacation! Thanks, Kelley! I’m glad you found me. Jessica, hope you and your dad like the tart! stacie, it wouldn’t take long to get tired of the hot weather. It’s only June and I’m already wishing for October. 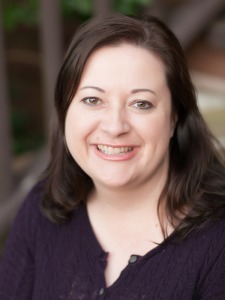 Thanks, RecipeGirl! I’d love zero humidity. I wouldn’t know what to do! I’d love to visit San Diego some time. I love summer, but mostly because I hate the winter so much. And here in Utah, the winter seems to last about 8 months. 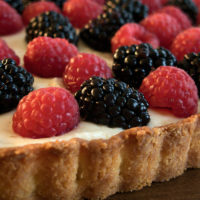 But this tart is gorgeous, and makes me crave some fresh berries! I hate the summer, too. It’s like living in an oven for 7 straight months; I enjoy baking, but not like that. Thanks, Mrs Ergul! I don’t think I could take year-round hot weather!!! Thanks, Jamie! Raspberries are my favorite, too. I agree about summer – it’s hard to turn the oven on when it’s so hot. Summer in the Northwest is what we wait for. Take a long vacation in this direction. You will once again love summers. Jennifer- Your tart looks wonderful! I hate the summer too and swear I am going to move to get away from the heat every year. My body is already registered at 200 degrees, so the heat kills me. We can complain together. Fabulous photos. Every single one of your recipes are beautiful! On their recent visit my aunt and uncle asked about our seasons and I replied “we have summer and less summer”…today was already scorching hot and it’s not summer yet! The tart however reminds me of all the good points about summer like berries…lovely! Heather and mynda, I may have to do just that some time! Tartelette, that’s an apt description. It certainly feels that way to me. Oh, this is gorgeous! We’re in a heatwave right now in NH, and yuck! it’s hot. I hate it. Give me cool fall days or a blizzard any day! Thanks, Elle! I’ll take those kinds of days, too. But, I’ll have a long time to wait to get there…. I hear ya girlfriend! This Florida girl is no fan of summer either. What’s to love about 95 degree temps and humidity? I am, however, a big fan of beautiful and delicious looking fresh fruit tarts! It looks to die for! I agree that there is nothing quite like a good raspberry or strawberry. Great minds must think alike – I made raspberry and coconut cupcakes this week! Susan, all that heat is definitely not for me. Yuck. caked crusader, I love raspberry and coconut together. I’ll bet those cupcakes were delicious! Mmmm, love the berries too. Plus ice cold watermelon, fresh corn on the cob and sun ripened tomatoes. So summer has some blessings. But our summers here in Philadelphia are much like yours, hot, hazy and humid. Though they don’t last quite as long as yours (thank goodness). An absolutely beautiful tart. Looks too good to be eaten!!!! I made this a while ago and I must say it is delicious! It came out with a little too much cream, but i’m not complaining! (: Thank you!